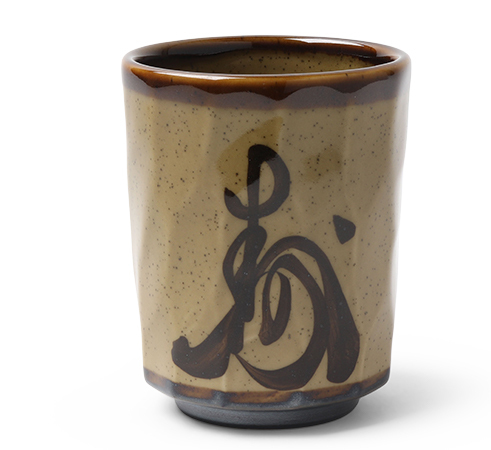 The kanji for "fuku ju" are featured on this authentic Japanese style teacup which mean, "fortune" and "long life." 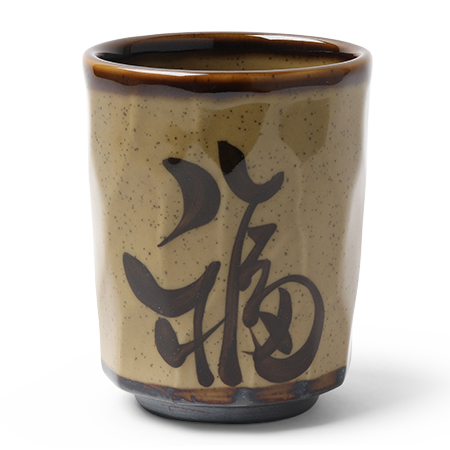 Perfect for drinking healthy green tea. 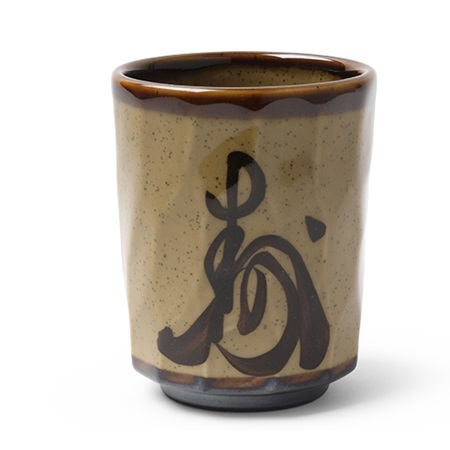 2.75" diameter x 4"h; 8 oz. capacity. Please note this cup no longer has ridges along the side. New image coming soon.